Bisman Bridal Show- The Area's biggest show! We are super excited to be hosting the 11h Annual “Bisman Bridal Show", to be held Sunday Oct 13th 2019 at the Bismarck Event Center. For more information about the show, visit our website here. We are on our 13th year of wedding decorating, averaging about 25-30 weddings per year, and each and every one of our weddings we treat as if it were our very own. Throughout these awesome years, we have had the privilege to meet some of the most talented vendors in our area, and wanted to showcase these talented vendors to you! 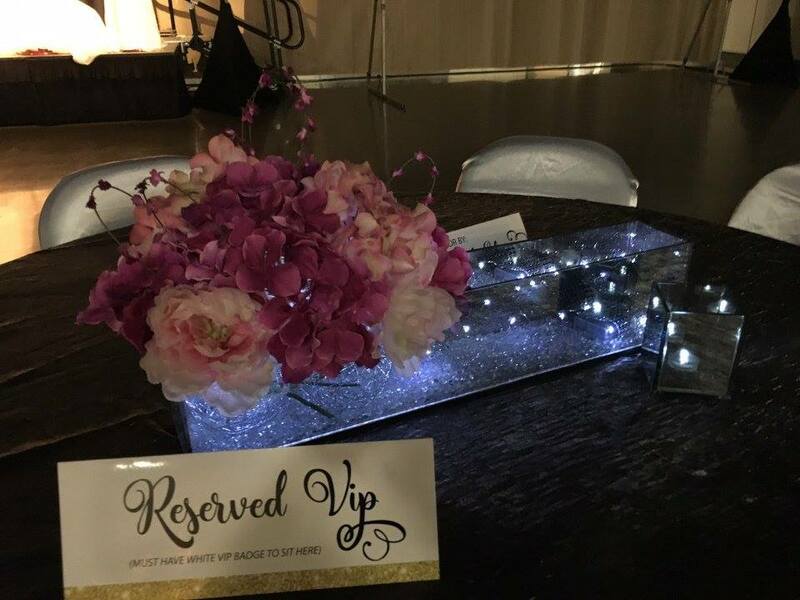 From photographers, cinematographer, health/fitness, investments, make-up, bridal party floral, bridal party jewelry, DJ services, limos, cakes, ice sculptures, spas, we have it all and MORE! *We typically feature around 90 vendors- the BIGGEST in the Dakotas, so don't miss out on this great event! A portion of the ticket sales will be donated to Carrie's Kids. *VENDORS* For booth information contact Lacey at 701-202-8038 or email bismanbridalshow@hotmail.com. We are excited to be announcing the first annual I Do Bridal Show this April 28, 2019, at a more intimate setting at the Radisson Hotel! We are VERY excited to be featuring a Style & Trunk show from Bridal N' More at this event! See some of the best new dresses for 2019! As entire collections will be revealed at this show only, this weekend only! Contact Bridal N' More to set up your one-on-one consultation to try on dresses throught the day! This bridal show will still feature only the best of the best vendors, but in this smaller venue you will have more chances to interact and chat with them. This show is all about you, the bride (& groom)! To learn more about the I Do Bridal Show, visit our website here.